On April 29, 2001 Steve and Jane Thibeaux made a trip to a local gas station in order to fill three portable gasoline containers for use at home. Mr. Thibeaux was filling the first container, a five gallon metal gas can, when a fire spontaneously ignited. 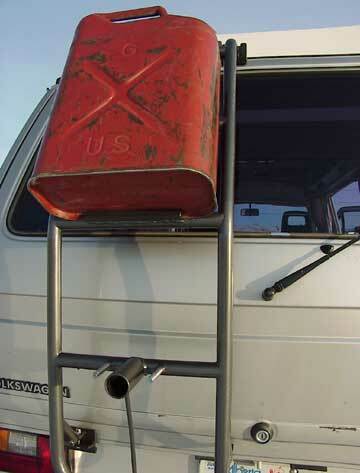 The five-gallon metal gas can was located on the door step of his van. His wife, Jane Thibeaux, was in the driver's seat of the van only a few feet away. When the fire erupted from the top of the portable gas container, Mr. Thibeaux feared for both his personal safety and the personal safety of his wife. He grabbed the gas can and attempted to carry it away from the van and the area of the gasoline pumps. As he did so, the fire continued to burn, and burning gasoline spilled onto Mr. Thibeaux igniting his clothing. Mr. Thibeaux eventually was overcome by the flames and fell down by the side of his van amid the burning gasoline. He suffered severe burns on various parts of his body. Seeing her husband on fire, Jane Thibeaux, exited the van and frantically searched for aid or assistance. She started yelling for help and looked through the window of the store but saw no one behind the counter. Seeing no fire extinguisher inside or on the side of the store near the gasoline pumps, she ran to assist her husband. Another customer, Blake Derise, saw Steve Thibeaux predicament and ran to assist him. Despite a threat to his personal safety and despite having no fire extinguisher or other mechanical means available to extinguish the fire, Blake Derise ran to the front of Mr. Thibeaux's van and helped him out of the flames. Mr. Derise then rolled Mr. Thibeaux on the concrete and used his hands and other parts of his body to help extinguish the Mr. Thibeaux. Mr. Blake Derise's wife, Tanya Derise, ran inside the store searching for a fire extinguisher. Seeing no fire extinguisher near the door where she entered, she looked around for a store employee. No employees were in the store at that time, so Ms. Derise ran behind the counter but still found no fire extinguisher. Finally, she looked across the store and saw an extinguisher near the opposite door. She ran across the store, retrieved the extinguisher, and then ran back through the store and went to the area near the gasoline pumps where the fire continued to burn. Ms. Derise gave the fire extinguisher to her husband, Blake Derise, Mr. Derise used the fire extinguisher to extinguish the remaining fire burning on the can and the pump handle. Steve Thibeaux was then driven by his wife to a nearby hospital and treated for severe burn injuries. As a result of his injuries, Mr. Thibeaux was hospitalized at Baton Rouge General Hospital Burn Unit for approximately three-and-a-half weeks. The gasoline ignited due to static electricity caused by the flow of the gasoline. A spark gap was created between the pump nozzle and the metal body of the gasoline can.